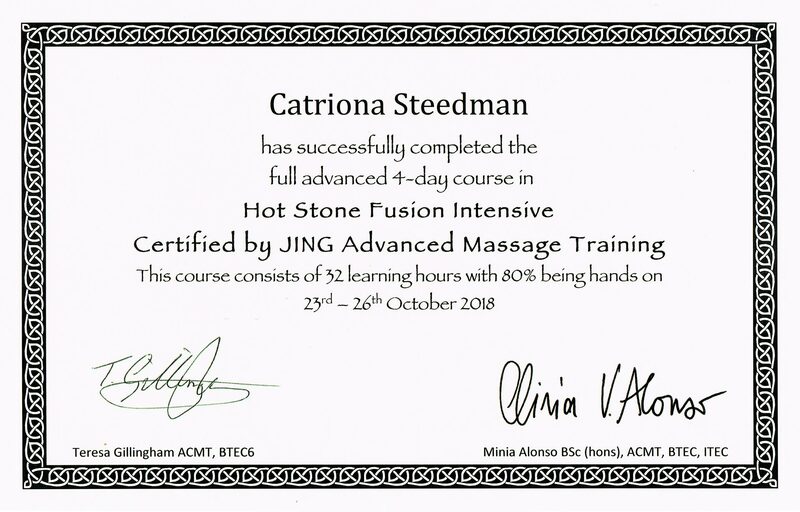 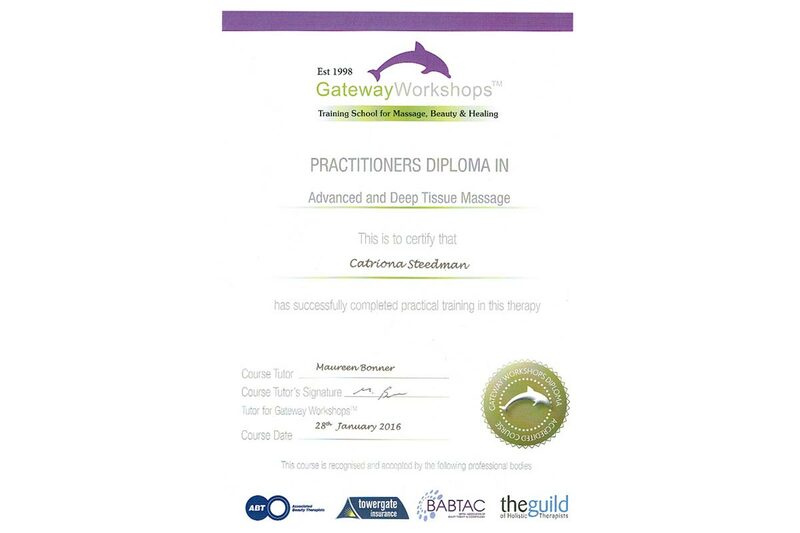 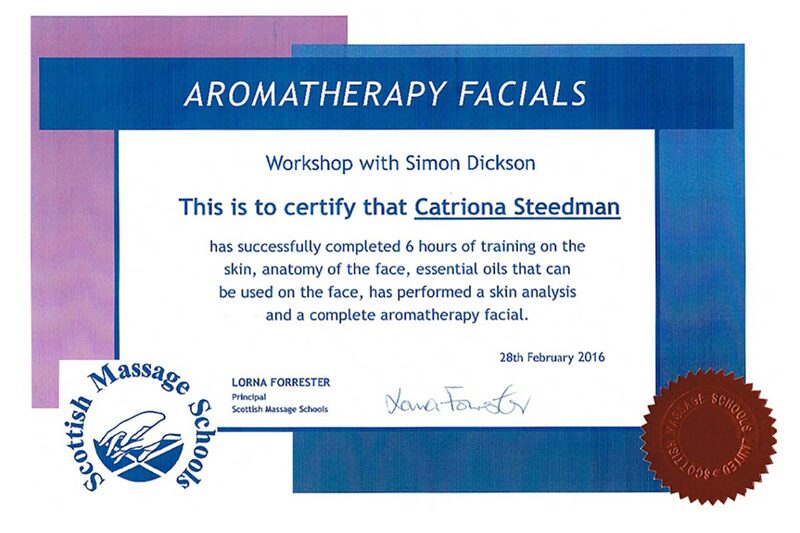 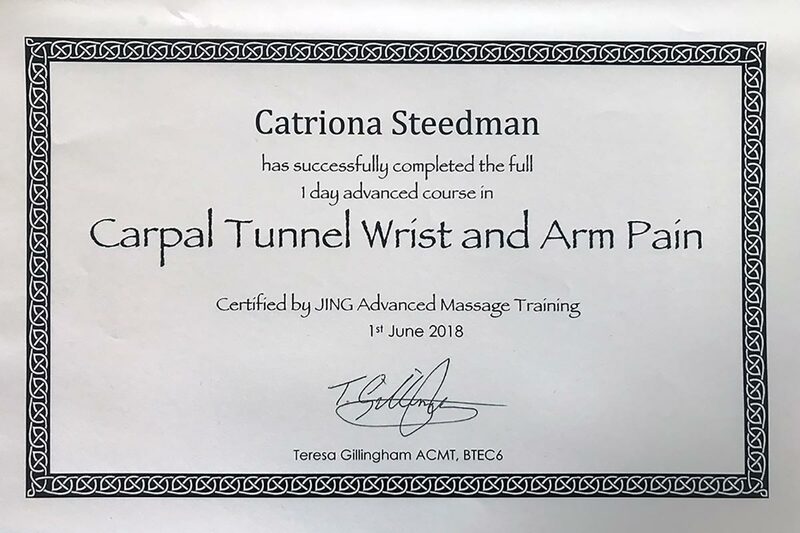 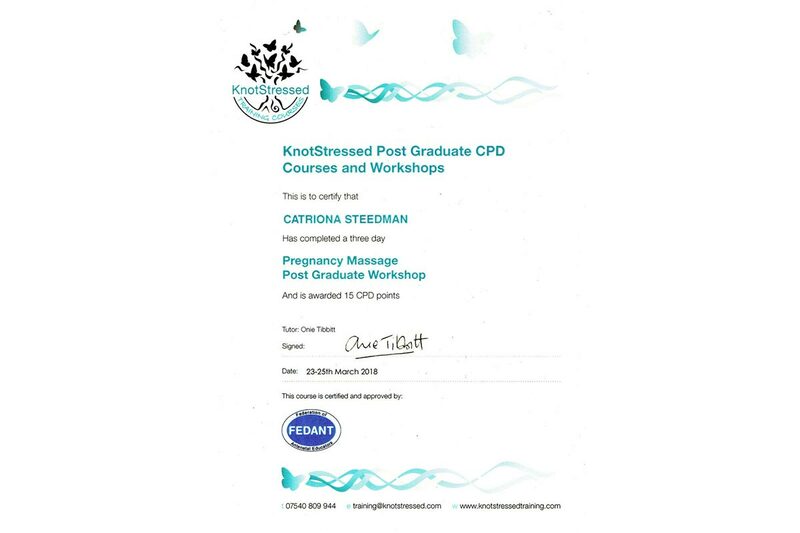 Background Catriona Steedman first started to train in massage at Natural Health Academies in Adelaide, Australia in 2010. 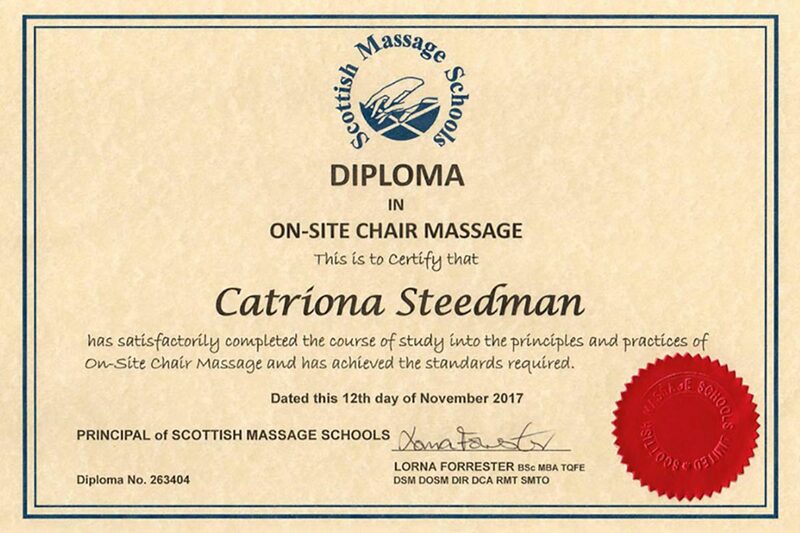 Since then she has trained with the prestigious Scottish Massage Schools in Edinburgh. 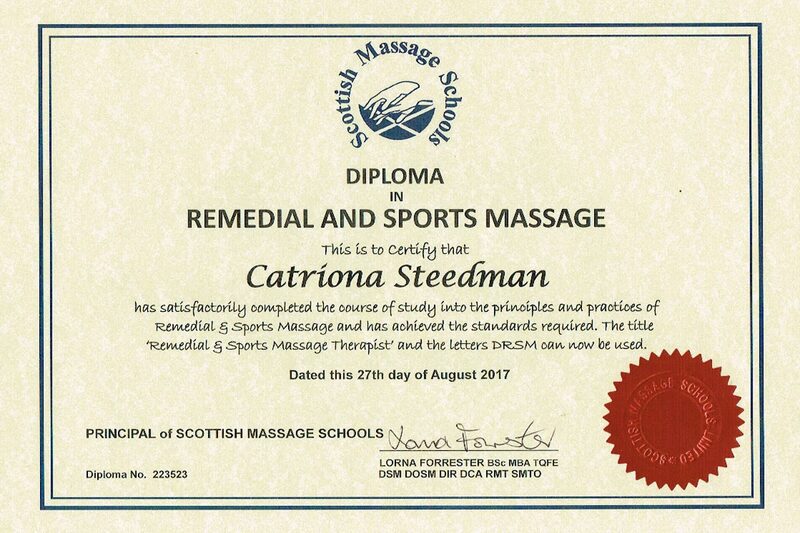 She gained a Diploma in Swedish Massage and the Diploma in Remedial and Sports massage.